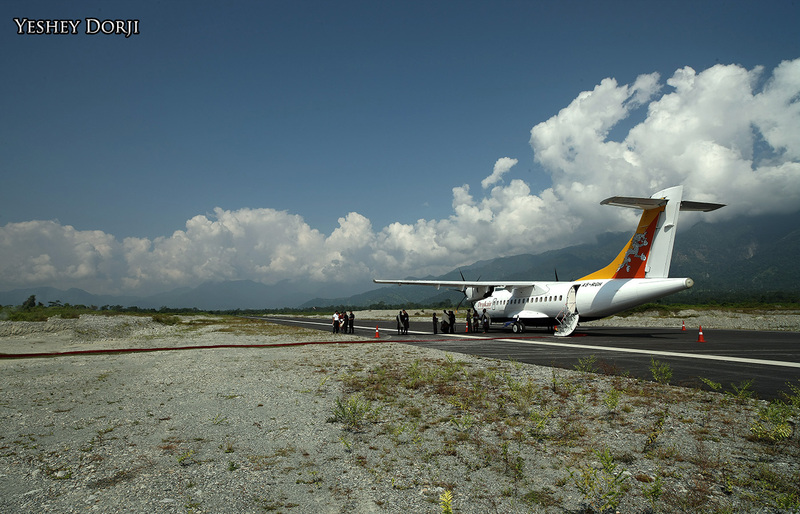 Druk Air, Bhutan's national airline successfully conducted its inaugural flight to Gaylegphu day-before-yesterday the 25th of October, 2012. I was among the fortunate few to be on the flight. 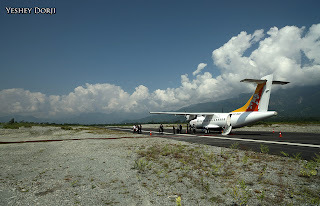 The flight time to Gaylegphu from Paro is 25 minutes - too short at any speed!! But the flight was smooth and the reception at Gaylegphu airport was heartwarming. It seemed like whole of Gaylegphu Dzongkhag's population turned up at the airport to receive the Prime Minister JYT who was the Chief Guest on board the flight. Safety comes first. No fencing. Hurrying in project like this is very very dangerous. DCA, please don't give in to the pressures of the politicians, even if it is the Prime Minister of Bhutan. Sensibility is more important than arrogance. Watch out! For your information, the commercial flights will start only once all the facilities and safety measures have been put in place. The flight was, as I wrote, inauguration flight. So you can be rest assured that safety of the passengers and that of the aircraft is not being compromised. It was nice to see some happy faces on BBS of those who had dreamed of flying but never expected to realise it. KB, am sure the pressure was more from the public than the politicians to have some kind of a confirmation that "flights" will begin in Gelegphug. Yeshey, thanx for sharing. The plane looks cute.